FAYCO Enterprises Inc., is supported in its work by the activities of FAYCO Foundation, Inc. In addition to accepting payments for special events sponsored by FAYCO Foundation, the Foundation also accepts general monetary donations from individuals, businesses and organizations. Money donated to FAYCO Foundation will be used to support FAYCO programs and may be used for equipment purchases or special events. All proceeds will directly benefit the individuals we serve. 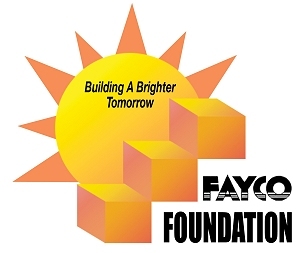 Please click on the yellow "Donate" button below to make an online donation to FAYCO Foundation. Donations are Tax-Deductible. We are a tax-exempt organization. Your donations are tax deductible and will be greatly appreciated! FAYCO Enterprises, Inc. is an Equal Opportunity Provider and Employer. Complaints of discrimination should be sent to USDA, Assistant Secretary for Civil Rights, Office of the Assistant Secretary for Civil Rights, 1400 Independence Avenue, S.W. Stop 9410, Washington, D.C. 20250-9410 or call (800) 795-3272 (voice) or (202) 720-6382 (TDD).